The newest line by TAVLIT combines our well known high performance mini sprinklers into a flow regulation solution which is easy to use and maintain, yet economical and efficient. The highly reliable solution is based on a new set of nozzles available for 86X, 831 and 841 series of mini sprinklers, using a classic silicon rubber design with wide water passages. Uniform flow rates regardless the inlet pressure. Wide water passages to prevent clogging. Flow regulated emitters keep the flow constant regardless changes in the inlet pressure. Used in irrigation systems installed in slopes and difficult topographic conditions in order to guarantee the right flow in each emitter. 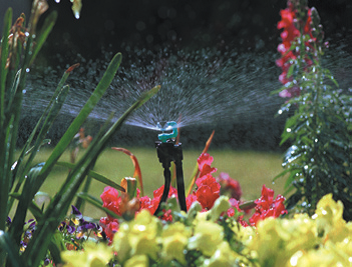 In irrigation systems where the pressure fluctuate. Modular flow regulator that can be connected to any TAVLIT emitter.